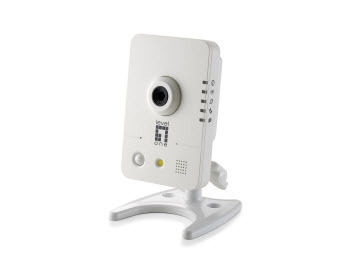 LevelOne WCS-0030 is designed for 24-hour home security and surveillance. It provides a distinct and stylish exterior mount unit with excellent features and quality, allowing plenty support of applications and wide area of coverage. Users can view the live motion image anywhere through web browser via the Internet. With the mega pixel progressive sensor and white LED, WCS-0030 comes with high resolution quality and harp sensitivity – an ideal solution for your day-and-night surveillance system. business. It also embedded with a high performance image sensor and CPU. WCS-0030 supports MPEG-4 / MJPEG / H.264 codec compression, providing high resolution at 640 x 400 or 1280 x 800 for high-quality video and real-time viewing. The LevelOne FCS-3091 is a H.264 2-Megapixel Fish- Eye camera that allows you to monitor all angles of a location using just one camera. The FCS-3091 features a fish-eye lens for a 360° panoramic wide angle view without blind spot. The panoramic coverage ability enables a cost- effective deployment, as less cameras need to be installed and with easy maintenance. It is a perfect solution for stores, schools, offices and lobby applications. The FCS-3091 hardware enables users up to 5 video layouts for ceiling mount, additional wall mount and table view applications. The e-PTZ function without moving parts performs as a mechanical PTZ camera without Pan/Tilt to reduce costs. FCS-3091 provides built-in ICR (removable IR- cut filter) for day/night surveillance, 802.3af PoE, 2-way audio, built-in microphone and speaker, DI/DO alarm and Micro SD card for local storage. Without installing any software, users can access live view and utilize functions such as motion detection and alert notification through the Web interface using an IE browser.